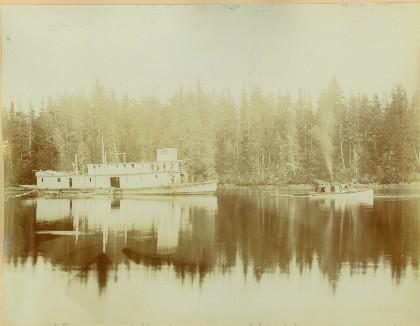 Photograph depicts sternwheeler being towed by smaller vessel, shore in background. Handwritten photo caption beside image reads: "Caledonia". Item is one of 17 photos comprising album, original order maintained.